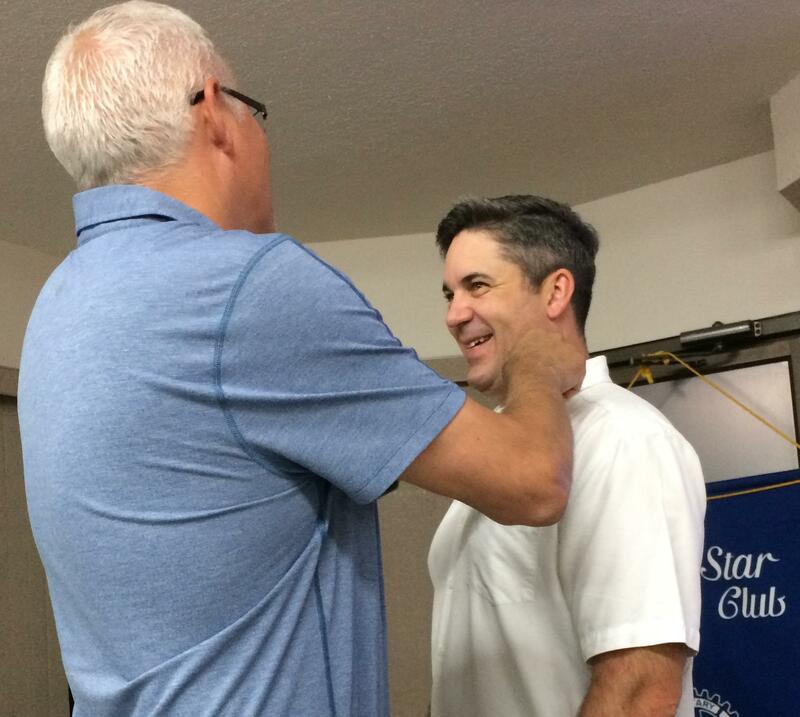 Martin von Holst pins new member Calvin Reich, a commercial insurance broker with Capri CMW Insurance. His work includes aviation insurance, & he holds a commercial pilot licence. Calvin was involved in youth sports when his children were younger. He mountain bikes, snowboards, & works with the VSS Panthers Football team. He’s also a Director with “Unmanned Systems Canada,” a non-profit representing the interests of unmanned aerial, marine & ground vehicles. Welcome Calvin!